FIFA 2018 World Cup's best goals, games and players. 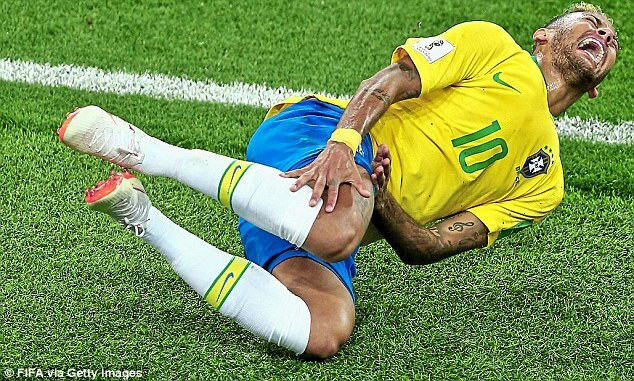 The 2018 World Cup has finally come to an end - and it was one of the most exciting, unpredictable and memorable tournaments for many years. France lifted the trophy in Moscow after beating Croatia in the final, while England enjoyed a somewhat unexpected run to the semi-finals. 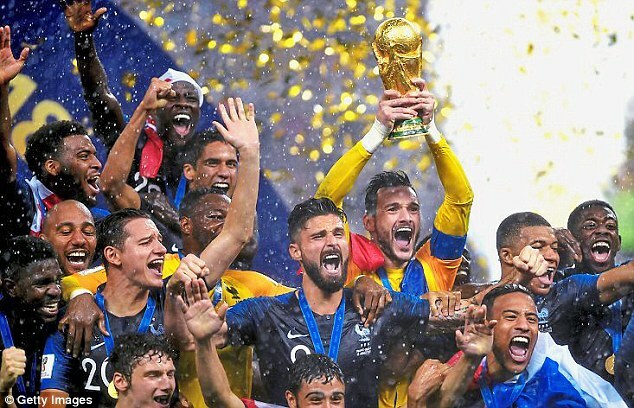 The 2018 World Cup was won by France - but what were our experts' stand-out moments? No-hopers before a ball was kicked but ended up inspiring the nation. A rookie manager with a gentle, sensible approach made people of all ages fall back in love with the team. Hopefully it makes a young generation want to be the next Harry Kane. How will they do at Euro 2020? 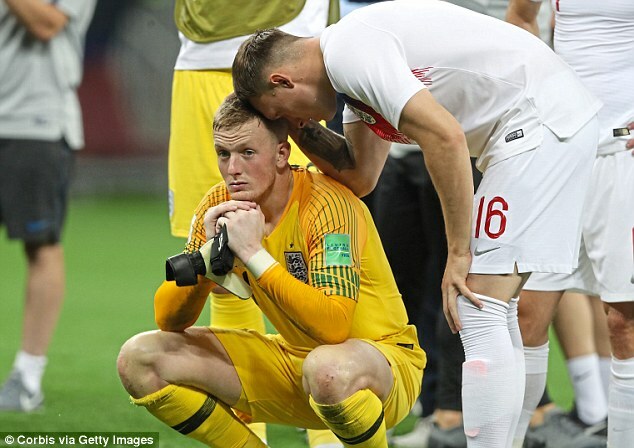 Maturity shown by Harry Maguire and Jordan Pickford bodes well. The right man is at the helm but keep a lid on expectations. 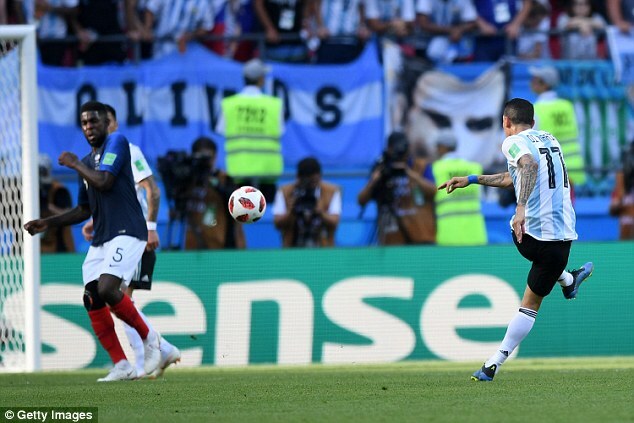 Angel Di Maria v France. A left-foot stonker from 30 yards into the top corner past Hugo Lloris. He has a look before he receives the ball, knows exactly what he wants to do and executes with power and precision. Raphael Varane. A rock at the back for France, he attacks crosses, reads the game beautifully and has the pace of an Olympic sprinter. Iran 1, Portugal 1. Iran had to win and would have knocked out Portugal. Ricardo Quaresma put Portugal ahead with one of the goals of the World Cup. Cristiano Ronaldo had a penalty to make it 2-0 but Alireza Beiranvand — a former shepherd — saved. Ronaldo threw an arm but VAR bottled it. Iran were awarded a dubious late penalty which they scored. Then, with the hopes of 80 million Iranians on his shoulders, Mehdi Taremi slashed wildly into the side-netting. Portugal sc****d through. Iran slumped to their knees. 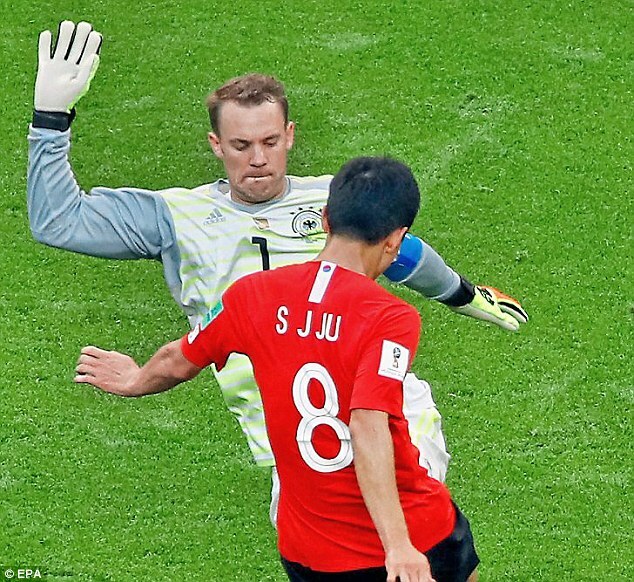 There cannot be a moment in World Cup history that compares to Manuel Neuer playing outfield against South Korea. He was a disgrace. Goalkeepers go up for set-pieces when desperation sets in but to play the final five minutes high up on the left wing was outrageous. He went from world-class keeper to world-class ego. He tried to take on a South Korean defender and was dispossessed. One long punt to Son Heung-min and Germany were out. Epic. VAR officials to be banned from dressing up in kit in the studio. Pickford (England); Pavard (France), Varane (France), Maguire (England), Hernandez (France); Kante (France), Modric (Croatia); Mbappe (France), De Bruyne (Belgium), Hazard (Belgium); Griezmann (France). The moment people fell back in love with the national team — it felt like a huge balloon had popped when they went out. England will be a scalp now and it will be interesting to see how they handle that. Our players should have more know-how when it comes to handling big occasions. 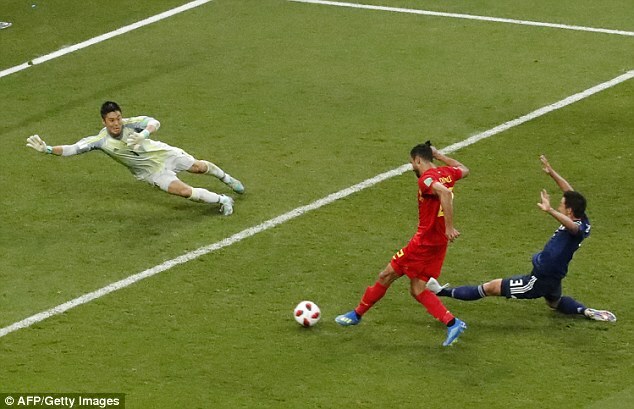 Belgium's runaway goal in the last minute against Japan. Having recovered from 2-0 down, Belgium broke from a Japan corner and Kevin De Bruyne surged up the pitch. He found Thomas Meunier, who crossed for Romelu Lukaku and the striker let the ball run behind him for Nacer Chadli to tap in. 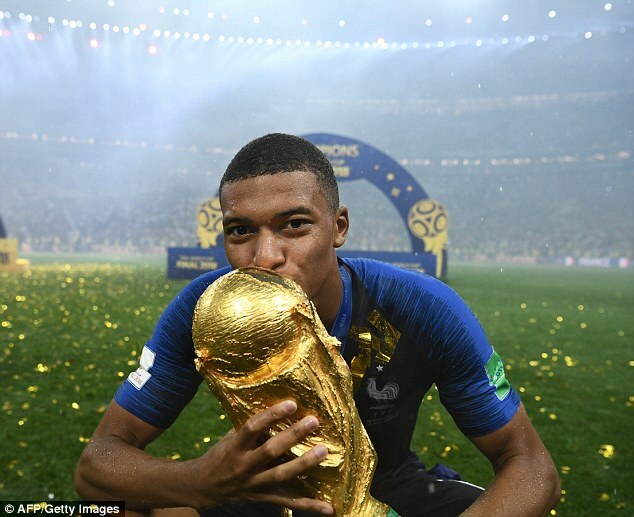 Kylian Mbappe is the player who got me out of my seat the most. He's the one who'll be the biggest inspiration for youngsters. England's victory over Sweden. Such a well-managed performance and the result never seemed in danger. The reaction to my tongue-in-cheek remark during the Sweden match that people who were reading a book instead of watching the game should get a life. For the record, when my two lads were growing up I would read to them every night! On the whole VAR has been a huge success but the next step is for supporters to hear how the decisions are reached. Subasic (Croatia); Meunier (Belgium), Varane (France), Maguire (England), Laxalt (Uruguay); Modric (Croatia), Kante (France), De Bruyne (Belgium); Mbappe (France), Kane (England), Hazard (Belgium). There are regrets — they were 20 minutes away from a World Cup final and it could be some time before England have as good a chance. But the positives far outweigh the negatives. They caught the imagination of the English public and Gareth Southgate was a class act. A fighting chance, but plenty of good teams haven't won major tournaments. Look at the Dutch side who were beaten in two World Cup finals in the 1970s. France will be extremely hard to beat. Jesse Lingard's against Panama. A beautifully executed move involving Raheem Sterling and a breathtaking finish, bent around the defender into the top corner. Kylian Mbappe. Super-fast but also super-s****ful, there are echoes of the Brazilian Ronaldo when he was at his peak. England against Colombia for sheer drama. The World Cup at its gut-wrenching best, and an epic night for English football. A colleague said he was more than ready to face an England player in a three-dart challenge. 'I've been throwing seventies and eighties,' he said. With the cameras on him, however, he missed the board three times. Progress, when an England team finally began to add up to the sum of their parts. England were not one of the best four teams but they were just about as good as they could be. That's encouraging. They're not one of the favourites but they should be confident they can win games when it really matters. Nacer Chadli v Japan. Belgium could have settled for extra time but, sensing Japan had committed too many men forward, they countered to knock them out. Luka Modric. As soon as he scored against Argentina, he seemed to take it upon himself to drag Croatia where he wanted them to go. Not just his work with the ball but the energy of his pressing and tackling. 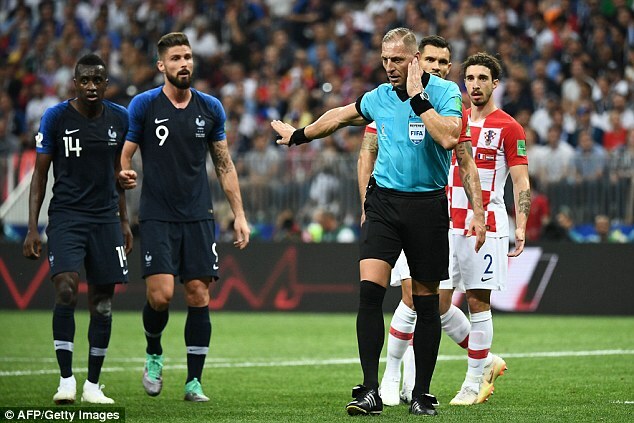 The Belgium v France semi-final had only one goal but it was an absorbing contrast of styles between one team playing on the front foot and another on the counter. England wouldn't have lived with either. Hearing the Colombia players attempt to take the moral high ground after they tried and failed to kick England out. It was pathetic and funny at the same time. Fewer teams. The World Cup is no longer an elite competition at the group stages. Panama would have lost to Ipswich. Akinfeev (Russia); Pavard (France), Maguire (England), Thiago Silva (Brazil), Augustinsson (Sweden); Kante (France) Witsel (Belgium); Mbappe (France), Modric (Croatia), Coutinho (Brazil); Ronaldo (Portugal). A youthful side, led by an intelligent and articulate manager, played exciting, progressive football and who were so likeable. 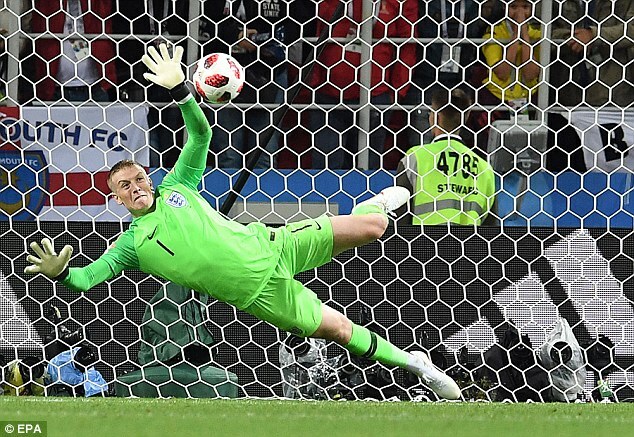 The campaign's two late defeats delivered a reality check but there is a reason why Russian people were walking round Moscow wearing the Three Lions. How will England do at Euro 2020? Beating an elite opponent at Wembley, at the business end of that competition, is achievable, and they can be semi-finalists or finalists. The players and Gareth Southgate now know how it feels to be 20 minutes away from a major final yet fail. Sometimes you need to lose one to win one. 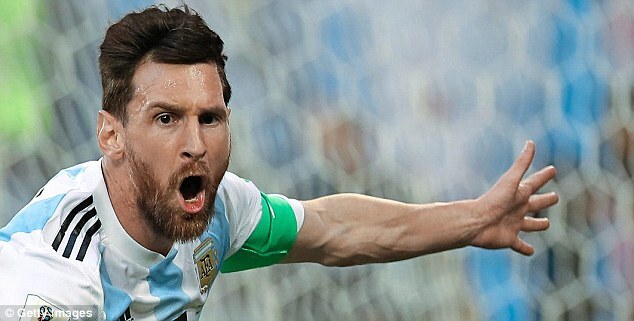 Lionel Messi, Argentina v Nigeria. The sublime through-ball on to his left thigh by Ever Banega, the No 10's two touches to bring it under control, then the right-foot shot into the net. It also came when nothing less than a win would do. Grace under pressure. N'Golo Kante. The sentinel of the France team, beating heart of the side. He repelled all invaders, freed Paul Pogba and sometimes created himself. Yet still modest. Brazil 1, Belgium 2. A transfixing meeting of opposites: Belgium swarming forward with counter-attacking verve, Brazil throwing four forwards into a mission to recover a 2-0 deficit, pulling one back and yet missing two at the death. A night to take your breath away. A portly Russian police officer making a beeline for an Argentine wearing blue-and-white Native American head-dress in a heaving, noisy throng at a Saint Petersburg Metro station and asking him for a selfie. This was the same Russian police we were told might frown on fans congregating in large numbers in public spaces. End the scandal of the 'Fifa family' hoovering up freebie tickets for the best seats. 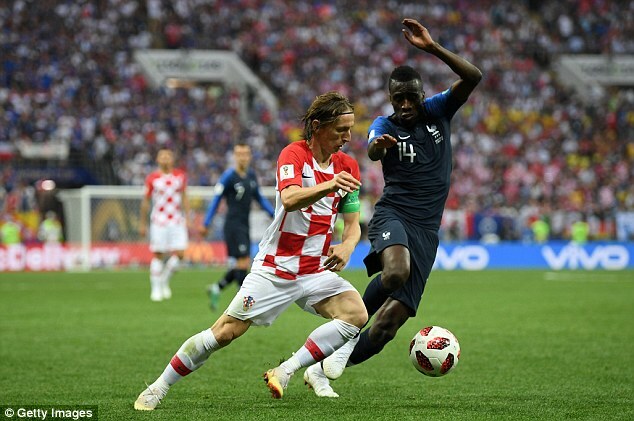 Subasic (Croatia); Trippier (England), Umtiti (France), Varane (France), Hernandez (France); Kante (France), De Bruyne (Belgium); Cheryshev (Russia), Modric (Croatia), Hazard (Belgium); Mbappe (France). A PR triumph and penalty fears conquered meets a fan base desperately starved of success and on the brink of giving up. A young, ambitious squad with some exciting individuals who seem happy and united in their desire to do well for England and an intelligent manager who understands the international process. Plenty of hope. Kevin De Bruyne v Brazil. Ultra-sweet connection by the Belgian at a key point in a thrilling quarter-final. Luka Modric. From the destruction of Argentina in the group stage through his courage from the spot against Denmark in the last 16 to the fightback against England, he has been an inspiration. Spain 3, Portugal 3. Even in chaos the Spanish passed with bewildering pace and precision but Cristiano Ronaldo hit back with a hat-trick, sealed with a late free-kick and a massive pose-down. The Uruguay team bursting en masse from their dressing room into the media interview area with big smiles and folk music blaring from portable speakers after beating Portugal. Something to address the pathetic exaggeration of injuries would certainly be nice. Pickford (England); Vrsaljko (Croatia), Varane (France), Godin (Uruguay), Hernandez (France); Modric (Croatia), Kante (France), Rakitic (Croatia); Mbappe (France), Kane (England), Cheryshev (Russia). 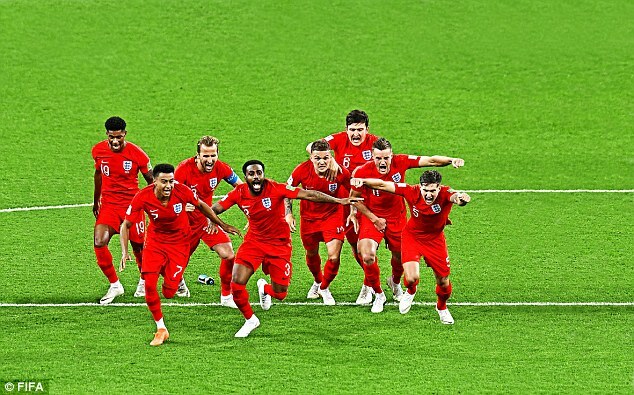 For the first time in years, this was an upbeat England campaign that far exceeded expectations, when the FA's ambition was to win one knockout game. The expectation will be off the scale with several of England's matches due to be played at Wembley. That tournament, rather than Qatar 2022, has always looked the most likely for England, especially if Gareth Southgate can keep the feelgood factor going. Jesse Lingard against Panama. One to savour as it wasn't from a set-piece. Luka Modric. Even well into his thirties, he dominates midfield with his passing range. Oh for England to have a player with such sublime s****s and tenacity to go with it. England v Colombia. The coiled tension after Colombia equalised was similar to England v Argentina in 1998. The winning penalty shootout will be the stuff of legend as England had a plan for a change thanks to Southgate's forensic preparation. The chief security guy from South Africa's special forces, introduced by media tour operator BAC Sport as the toughest of the tough who would keep us safe in all circumstances, falling on his face after a night out and having to be helped to his room. S**** the bronze-medal match. Unfortunately it is already in the schedule. Pickford (England); Trippier (England), Varane (France), Maguire (England), Marcelo (Brazil); Perisic (Croatia), Kante (France), Modric (Croatia); Hazard (Belgium), Mbappe (France) Griezmann (France). A campaign that propelled them back to elite status. No longer will they go into tournaments fearing the worst. Hope is renewed, which is far more than we predicted. They have a squad capable of mounting a serious tilt at it. Harrowing semi-final loss will leave them in good stead. Ricardo Quaresma v Iran. It must be hard being an attacking player for Portugal, overshadowed by Cristiano Ronaldo. But Quaresma stole the limelight with his sublime effort. Luka Modric. Almost single-handedly dragged Croatia to the final. England v Colombia. A watershed moment for English football. The impact the result had — and will have — on the national team will be felt for years to come. The pure concentration on the face of Sports Agenda's Charles Sale as he played darts against Gary Cahill at the England media centre was quite a picture. More of a continuation, but the clampdown on grappling by defenders in the box has been one of the biggest plus points. Pickford (England); Trippier (England), Stones (England), Varane (France), Hernandez (France); Kante (France), Modric (Croatia), Pogba (France); Hazard (Belgium), Griezmann (France); Mbappe (France). A wonderful joyful interlude to a politically-troubled summer. 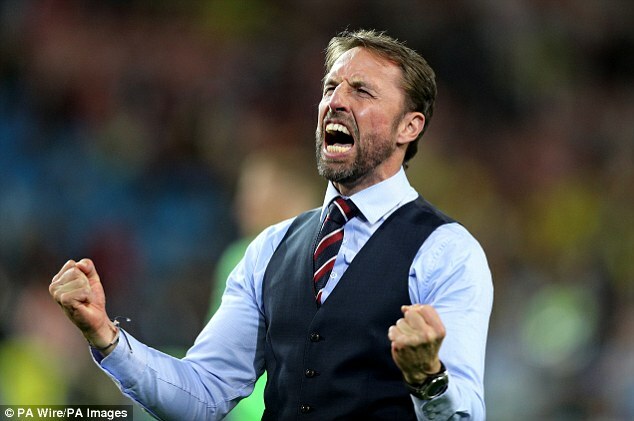 However, great though the PR was from Gareth Southgate and the players, there should also be huge regret that their worst half of football came when they were within 45 minutes of a World Cup final. That should be the first item on the agenda come September 2. Reasonable hope but no false sense of entitlement that semi-finals are the new norm for England. The draw opened up and in another World Cup, even playing well, they could have gone out at the last 16 or quarter finals. They still lack playmakers - 3-5-2 worked well here until it failed, so needs a re-think - Spain and Germany won't be as weak again and France will still be around. As will Croatia. Lionel Messi against Nigeria. It's partly the technique. Michael Owen explained how the second touch, taken at full speed, which nearly directs the ball to sit up for the shot, is the really exquisite part which only a few players can execute. But also for what it meant and the emotion in which it was suffused. Luka Modric. We've known for years that he could take apart any midfield in the world on form. Sublime against Argentina, in the run-up to the semi final, everyone recognised him as the key threat. And once he got going, England couldn't seize back the momentum of the game. England v Colombia. Maybe not one for the purists but aside from the emotion of the result and the penalties, this was a real World Cup battle, a challenge of hugely-different footballing cultures which you simply don't get in club football or the Euros. As for the complaints about the dark arts, this was a really good South American team reaching deep into its play book. And England fought fire with fire, a real step up when you consider how they surrendered meekly to Uruguay in 2014. Wes Brown being introduced to the crowd as FIFA England legend. Move it from Qatar and have a free and fair election to choose a host? Pipe dreams aside, let's mic up the refs as in rugby and listen to the reasoning behind decisions. Subasic (Croatia); Trippier (England), Maguire (England), Varane (France), Hernandez (France); Kante (France), Modric (Croatia); Hazard (Belgium), Griezmann (France), Mbappe (France); Cavani (Uruguay).